Office 2019 apps will be released with Click-to-Run installation only. 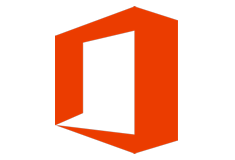 No MSI provided for Microsoft Office 2019 clients, but for Office Server products. Click here to get your own language tag. I would like to try Office 2019, I’m running win10 but I have never d/l and installed anything other than .exe files. Can someone guide me a bit with how to install this…..ICO?….Activation? Many thanks….. Thanks Cyberloner…Got it Downloaded but dont know what to do with the KMS etc…found it and Dl it but cant get it to run at elev cmd prompt….Can you help…..Many thanks…. I figured out how to use the KMS activator and it worked perfectly….Thanks very much Cyberloner for all your good work…..